The MDCP redefines the ways in which clinicians can care for patients having even the most complex functional GI disorders. The 2nd edition is a case-based learning module that updates the content of the first MDCP book published in 2015. 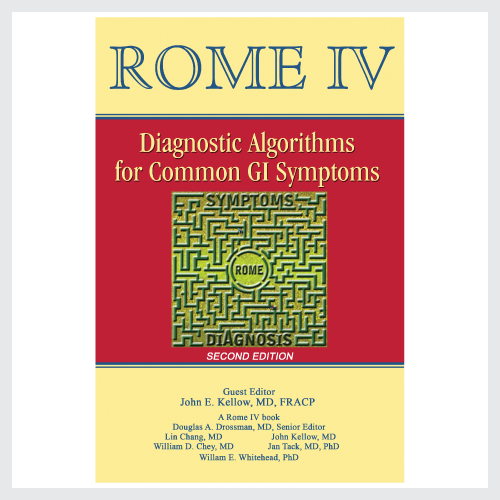 There are over 70 cases, more than double that in the first edition, and all cases are revised to meet the Rome IV diagnostic standards. 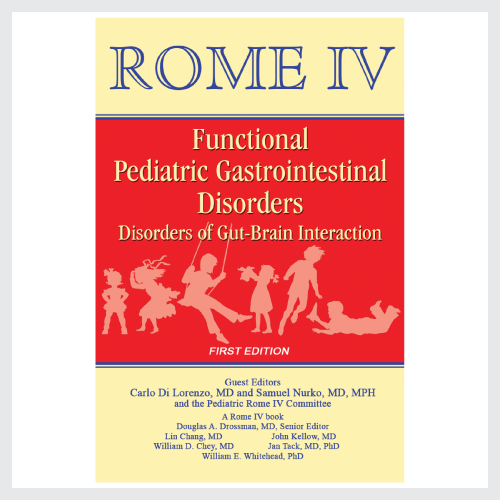 The book helps the clinician understand the complexity and dimensionality of these disorders. Discerning clinicians recognize that just making a diagnosis is not sufficient to determine treatment. For example, a patient with IBS-D having mild and occasional symptoms of abdominal discomfort and loose stools and functioning without impairment would be treated quite differently than a patient with the same diagnosis having continuous severe and disabling pain and comorbid anxiety disorder with fears of incontinence when leaving the house. 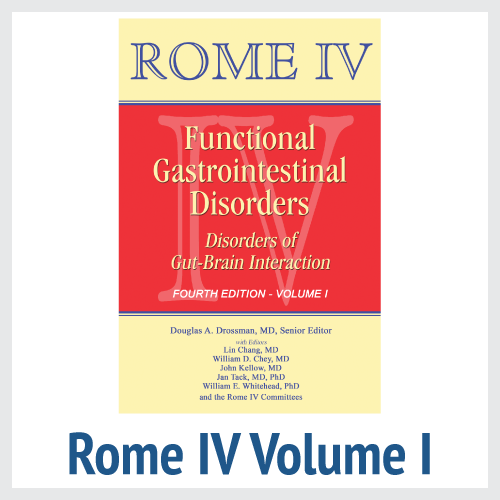 We accomplished this task in a short time by acquiring the expertise of our Rome IV chapter committees, who revised the previous cases to meet Rome IV guidelines and added newer diagnostic entities (such as OIC—opioid-induced constipation, narcotic bowel syndrome, cannabinoid hyperemesis syndrome, and esophageal reflux hypersensitivity) and who also provided additional cases to increase the variety of clinical presentations that occur in real-life practice, often with dual or multiple diagnoses. 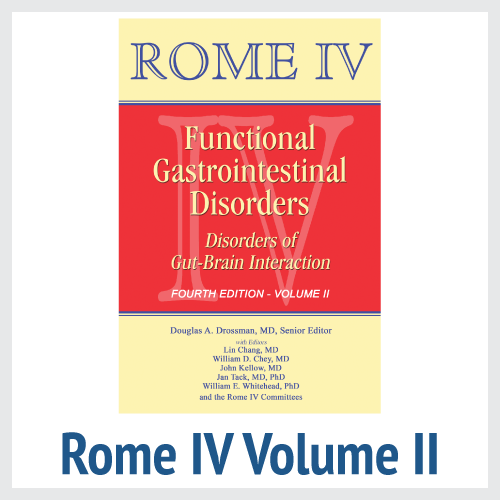 Thus, this 2nd edition truly addresses the full depth and breadth of clinical decision-making for FGIDs. Furthermore, we have added 18 pediatric cases (neonate-toddler and child-adolescent) and 4 cases where sociocultural influences affect symptom presentation, and where treatment must be geared to the patient’s cultural perspective. 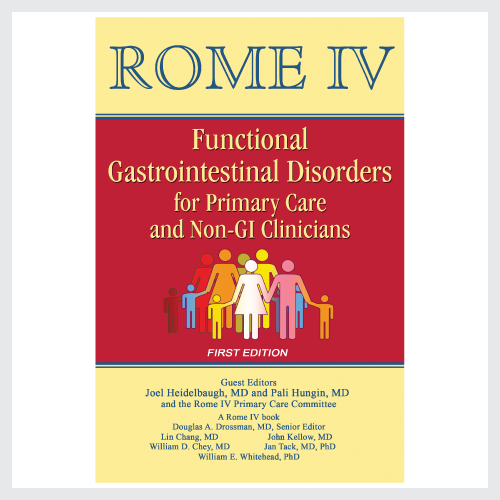 In this way, any diagnosis, for example, IBS or dyspepsia, has multiple clinical cases ranging from mild to severe, with or without associated comorbidities or sociocultural influences or with psychological comorbidities. 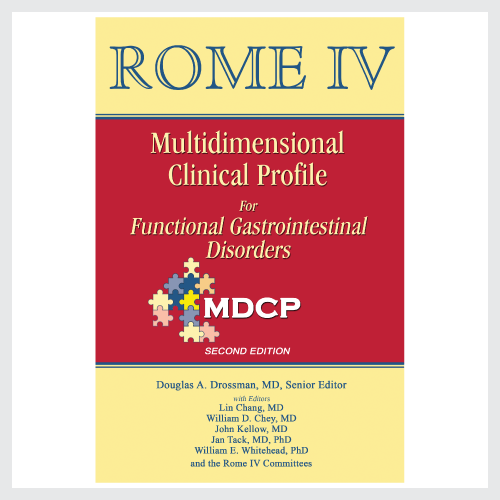 As before, the MDCP identifies and classifies five components of every case scenario that include the categorical Rome diagnosis (Category A), additional subclassifications leading to more specific treatments (Category B, e.g., IBS-D or IBS-C, EPS or PDS), the personal impact of the disorder on the patient (Category C), psychosocial influences (Category D), and physiological abnormalities or biomarkers (Category E). This framework is intuitively clear and the organizational approach is both pragmatic and useful. The 1st edition of the book was translated into Spanish, and the MDCP concept has been promoted by academic organizations including at the AGA’s Annual Freston conference.